Al-Madd Al-Laazim Al-Harfee: letter based necessary prolongation is the second branch of al-madd al-laazim. This posts discusses the difference between al-madd al-laazim harfee mukhfaffaf and harfee muthaqal as outlined in the diagram. Both types of madd laazim harfee only apply to those chapters in the Quran that start with letters. Some of these surahs include Surat Al-Baqarah, Surat Maryam, and Surat Qaaf. Each surah begins with letters that have a special case, all of which the al-madd al-laazim tajweed rule covers. First it should be noted that there are 3 exceptions. The first of which is the letter alif ( ا ). This letter is not prolonged, rather it is said plainly: “alif”. Note: these letters are not said as they are in the alphabet. Meaning, you do not say yaa’ ( ياء ) rather, only yaa ( يا ) is said. This applies for all 5 letters. Al-madd al-laazim hafree muthaqal (heavy letter based necessary prolongation) only occurs in one form (in the Quran). It is where one of the letters (at the opening of a surah) is pronounced using three sounds, where the middle sound is a harf madd and the last sound is merged with the beginning sound of the next letter. Let’s put this into context. 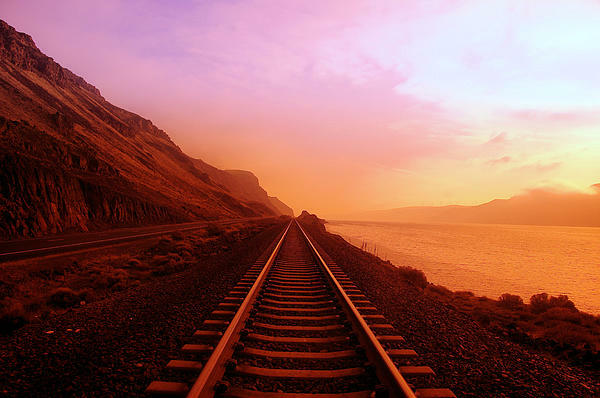 The opening of Surat Al-Baqarah is alif – laam – meem. One of these letters is pronounced with three sounds. It is laam. The first sound is “L” the second, a harf madd is “aa” (for alif) and the third is a meem, “mm”. The next letter after laam is meem. The last sound of laam is “mm” and the beginning sound of meem is “mm”, hence the two “mm” sounds are merged during recitation, fulfilling the conditions of heavy letter based necessary prolongation. Al-madd al-laazim hafree mukhaffaf (light letter based necessary prolongation) applies to those letters which do not merge. Each letter is prolonged for 6 counts, except where the above exceptions occur. The letters for this type of madd have 3 sounds. The middle is a harf madd, and the end is a saakin (hence why no merging occurs). An example is the letter qaaf. The first sound is a “Q”. The second a harf madd, “aa” for alif, the third is a saakin faa “ff”. I’ve run out of breath. Hope everything makes sense. Related Posts: Ahkaam Al-Madd – Al-Madd Al-Tabee’ee – Al-Madd Al-Waajib Al-Mutasil – Al-Madd Al-Jaa’ez Al-Munfasil – Al-Madd Al-’Iwad – Al-Madd Al-Badal – Al-Madd Al-Leen – Al-Madd Al-’Aarid Lil Sukoon – Al-Madd Al-Laazim: Kalimee. Al-Madd Al-Laazim: necessary prolongation is the longest madd in tajweed. 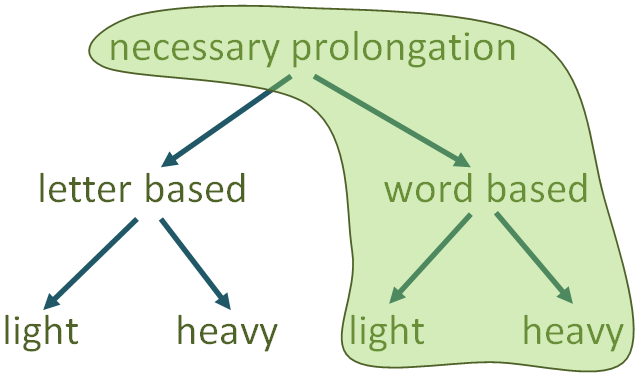 It is an umbrella term that branches into 2 types, which also branch into another 2 types, hence making a total of 6 types of necessary prolongation. In this post I will discuss the right branch of al-madd al-laazim. The right branch is kalimee (word based). This branches out again into two types, the first, muthaqal (heavy) and the second, mukhaffaf (light). The rule for necessary prolongation is an occurrence of a grammatical (Arabic) rule. This rule says that no two saakin letters can follow one another (as this is very difficult on the tongue). To abide by this rule, a madd is slotted between the two saakins for 6 counts. 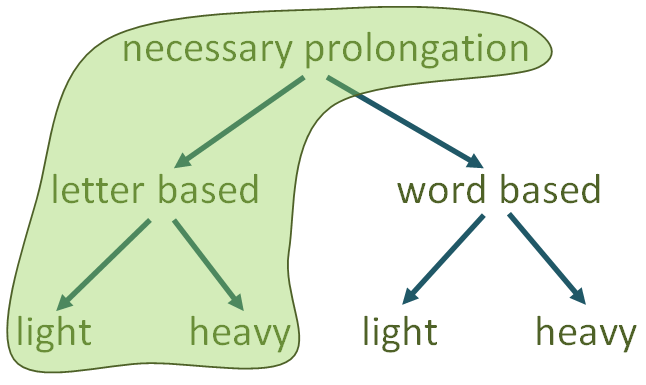 Let’s now differentiate between light and heavy word based necessary prolongations. Al-madd al-laazim al-kalimee al-mukhaffaf (light word based necessary prolongation) occurs in a word where a harf madd is followed by a laazim saakin letter whereby this sukoon is not merged with another letter. What does this mean? Just above I said that a shaddah causes the doubling of a letter, and hence, you are merging the first occurrence with the second to make it sound as 1 mushaddad letter. In this case, the letter with a saakin is not because of a shaddah, it is just a sukoon ( ْْْْo ْ) that is part of the original make up of the word. This type of necessary prolongation is sounded for 6 counts. Hope everything makes sense, though. Let me know if it doesn’t. Related Posts: Ahkaam Al-Madd – Al-Madd Al-Tabee’ee – Al-Madd Al-Waajib Al-Mutasil – Al-Madd Al-Jaa’ez Al-Munfasil – Al-Madd Al-’Iwad – Al-Madd Al-Badal – Al-Madd Al-Leen – Al-Madd Al-’Aarid Lil Sukoon – Al-Madd Al-Laazim: Harfee. The time it takes to repair and re-connect depends on how frequent you undergo a check up. Remember to revisit your heart’s checklist [emotion, faith, intentions, etc] occasionally in order to shorten the time it needs to wholeheartedly repent and re-connect with Allah. Keep in mind though, this isn’t the only connection you’ll need to take care of…..
Al-Madd Al-Silah: the connecting prolongation directly relates to the grammatical rule regarding the [possessive] pronoun that represents a third party of male gender. This [possessive] pronoun is simply the addition of the letter haa ( هــ ) at the end of a word. Therefore the referred third party is not part of the original make up of the word. At the end of a word, the letter haa looks like this ( ــه ). The purpose of this madd is to lengthen the dammah in order for it to sound like a waaw (و) or to lengthen the kasra to sound like a yaa (ي). Explanation below. 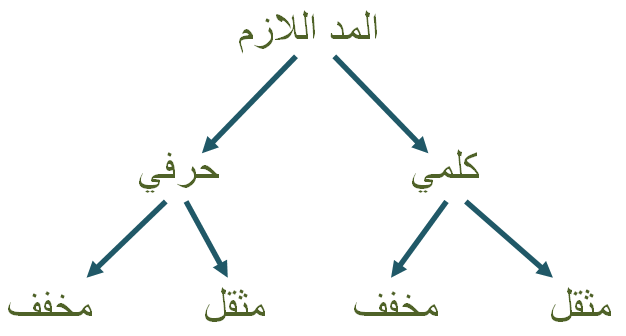 Al-madd al-silah separates into two types: kubra (longer) and sughra (lesser). Conditions 1, 2, 3, and 5 are the same for kubra and sughra. So did you notice anything similar throughout the examples? Did you notice a little waaw and a little yaa after the [possessive] pronoun haa? These little symbols make this madd too easy! Notice on the madd silah kubra, all the little symbols have a madd above them). Notice on the madd silah sughra, all the little symbols don’t have anything above or below! As you read, just do a check. Does this haa have a little waaw or yaa after it? If so, then know it’s madd silah. Does this little waaw or yaa have a madd squiggle on top? If so, then it’s a silah kubra, and stretch your yaa or waaw for 4 – 5 counts. Before I close off this post, I want to note that there are some exemptions. All the conditions of madd silah are present (except the haa being unoriginal). It is because of this, that no madd silah is said. Related Posts: Ahkaam Al-Madd – Al-Madd Al-Tabee’ee – Al-Madd Al-Waajib Al-Mutasil – Al-Madd Al-Jaa’ez Al-Munfasil – Al-Madd Al-’Iwad – Al-Madd Al-Badal – Al-Madd Al-Leen – Al-Madd Al-‘Aarid Lil Sukoon – Al-Madd Al-Laazim: Kalimee – Al-Madd Al-Laazim: Harfee. Have you ever been in those situations where an awkward silence is bound to happen? And when it does, it feels as though time stretches tenfold? Check out what happens to this stretchy prolongation when it hits a short silence (sukoon)! Al-Madd Al-‘Aarid Lil Sukoon: temporary prolongation occurs only at the end of an ayah (or when stopping after a word) that has a harf madd in it (ا or ي or و). There are certain conditions to this madd, these are as follow. -The reciter can sound this madd for 2 counts whether they are stopping or not, but generally, 2 counts are sounded only when the reciter wishes to continue. In the special case where a fat-ha precedes the harf madd yaa or waaw, it becomes known as al-madd al-leen, covered in this post. Al-madd al-leen has the same principles as al-madd al-‘aarid lil sukoon. Related Posts: Ahkaam Al-Madd – Al-Madd Al-Tabee’ee – Al-Madd Al-Waajib Al-Mutasil – Al-Madd Al-Jaa’ez Al-Munfasil – Al-Madd Al-’Iwad – Al-Madd Al-Badal – Al-Madd Al-Leen – Al-Madd Al-Silah: Kubra & Sughra – Al-Madd Al-Laazim: Kalimee – Al-Madd Al-Laazim: Harfee. Lean meat, lean on me, leniency…. Which “leen” is it? Let’s find out. Al-Madd Al-Leen: easy/eased prolongation only occurs when the reciter is stopping recitation after the word containing the madd, eg. for a breath, or at the end of an ayah, etc. Let’s look at why this is so. 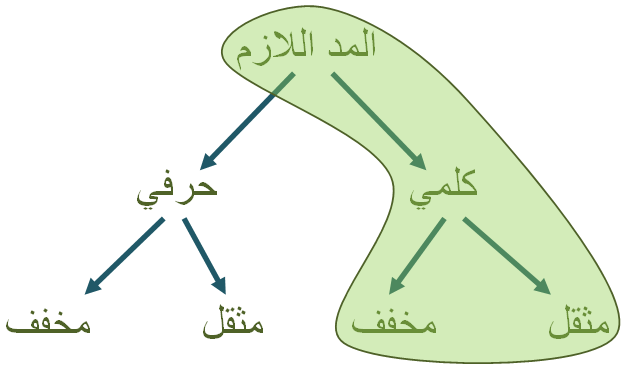 Al-madd al-leen occurs when a waaw saakinah ( وْ ) or a yaa saakinah ( يْ ) are preceded by a letter with the fat-h diacritic ( ــَـ). To be able to sound al-madd al-leen, the yaa or waaw must be “stretched” and not simply read with a sukoon. -to sound this madd, the reciter must stop after saying the word containing the madd (otherwise the madd is void). Here we can see that the conditions of al-madd al-leen are fulfiled in that the harf madd yaa has been preceded by a fat-ha. But we do not stretch this yaa for 2, 4, or 6 counts. Why? Because we continued onto the next word, mathaabatan. It is situations like these that al-madd al-leen becomes completely void. A side note to readers who are more knowledgeable in Tajweed: al-madd al-leen relies on al-madd al-‘aarid lil sukoon. If you are going to stop after a word, you sound the ‘aarid madd. This is the same case with al-madd al-leen only it’s special case has been noted down as an entirely different tajweed rule. Related Posts: Ahkaam Al-Madd – Al-Madd Al-Tabee’ee – Al-Madd Al-Waajib Al-Mutasil – Al-Madd Al-Jaa’ez Al-Munfasil – Al-Madd Al-’Iwad – Al-Madd Al-Badal – Al-Madd Al-‘Aarid Lil Sukoon – Al-Madd Al-Silah: Kubra & Sughra – Al-Madd Al-Laazim: Kalimee – Al-Madd Al-Laazim: Harfee. This madd is very simple. Almost as simple as the madd tabee‘ee, in fact. You might just be surprised to know you have been doing this madd since you first started reading Quran without even realising it… Have a read for yourself…. Al-Madd Al-Badal: substituted prolongation occurs when a hamza (ء) preceeds a harf madd (ا or ي or و). This madd is sounded for two counts when continuing recitation or stopping after the word with the madd. This madd is only found within one word, and occurs when the hamza has the respective diacritic on it, e.g. if the harf madd ‘waaw’ follows a hamza, the hamza has a dammah on it. To reiterate, the reason this word doesn’t have madd badal is because the hamza before the harf madd has a diacritic not suitable for the harf madd. The suitable diacritic for yaa is kasra, however the hamza here has a fat-ha. Related Posts: Ahkaam Al-Madd – Al-Madd Al-Tabee’ee – Al-Madd Al-Waajib Al-Mutasil – Al-Madd Al-Jaa’ez Al-Munfasil – Al-Madd Al-’Iwad – Al-Madd Al-Leen – Al-Madd Al-‘Aarid Lil Sukoon – Al-Madd Al-Silah: Kubra & Sughra – Al-Madd Al-Laazim: Kalimee – Al-Madd Al-Laazim: Harfee. 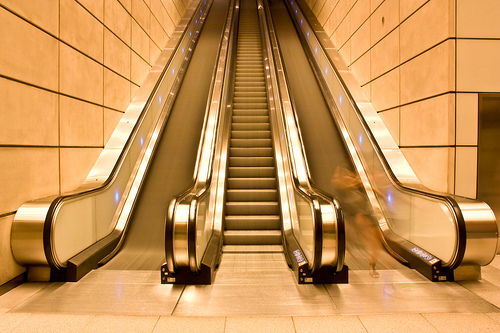 Have you ever wondered why many people have opted to take the escalator instead of stairs? Have we compensated health for convenience? Will you sound this compensated madd? 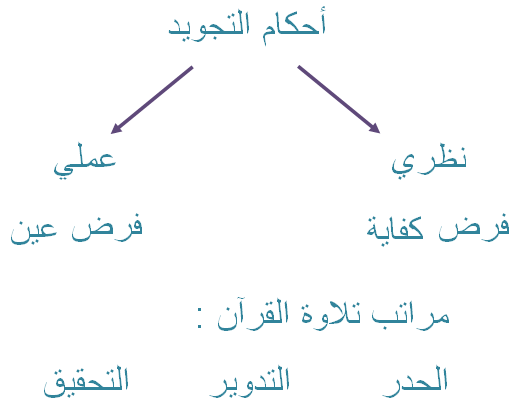 Al-Madd Al-‘Iwad: compensated prolongation, occurs only at the end of a word that has tanween fat-h.
Let’s take a look at some examples and view the above conditions practically. Here you can see how the madd becomes void when you are continuing onto the next word, and how it is sounded when you are stopping. Of course, what ever you do, keep in mind that this madd is only for tanween fat-h. You definitely do not say a madd when it is tanween damm or kasr. Badal – Al-Madd Al-Leen – Al-Madd Al-‘Aarid Lil Sukoon – Al-Madd Al-Silah: Kubra & Sughra – Al-Madd Al-Laazim: Kalimee – Al-Madd Al-Laazim: Harfee. Whether you’re doing the splits, visiting Split, or eating a banana split, you can’t go past sounding a [split] permissible prolongation! Al-Madd Al-Jaa’ez Al-Munfasil: Permissible prolongation, occurs when a word ends with a harf madd (ا or ي or و) and is followed by a word that begins with hamza (ء). The name here has come about because of it’s rule. Madd means to prolong. Jaa’ez means permissible. Munfasil means detached/separated. What is meant by munfasil? The madd is sounded over two words, i.e. the finger space between two words should be sounded with a madd. What is meant by jaa’ez? It is not obligatory to sound this madd. The harf madd can be just sounded for it’s normal length of two counts, i.e. the time it takes to say “one-two”. 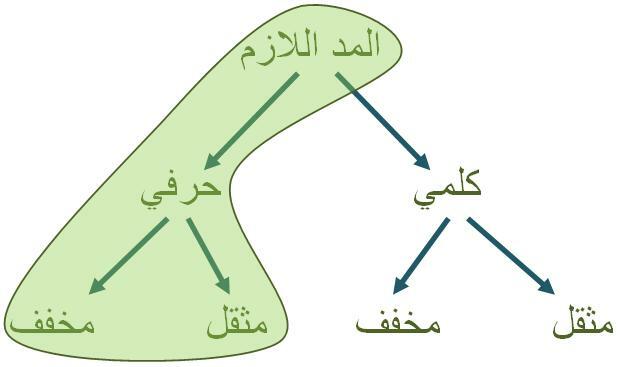 Important note on Quranic scripture: words that have “yaa” ( يا ) before them are usually connected as seen in the following example. However they are still two words, and the ruling of madd jaa’ez munfasil must be applied to it. What’s your favourite childhood game? Connecting puzzles, connect-a-four, or practicing the connected obligatory prolongation? Al-Madd Al-Waajib Al-Mutasil: is the obligatory prolongation. It is prolonged for either four or five counts (your choice of either). If you choose to prolong for four counts, then this must remain consistent throughout your recitation. Likewise is if you chose to prolong for five counts. This madd is obligatory when when a hamzah (ء) follows a harf madd ( ا or ي or و ) within one word. -Occurs only when a hamzah follows either of the following letters: alif, yaa, waaw. Yes, three a‘s to emphasise the difference between a normal madd letter and this madd. Note the second example, wa jee’a. Recall that any madd letter with a sukoon drawn above it remains completely unpronounced. Related Posts: Ahkaam Al-Madd – Al-Madd Al-Tabee’ee – Al-Madd Al-Jaa’ez Al-Munfasil – Al-Madd Al-‘Iwad – Al-Madd Al-Badal – Al-Madd Al-Leen – Al-Madd Al-‘Aarid Lil Sukoon – Al-Madd Al-Silah: Kubra & Sughra – Al-Madd Al-Laazim: Kalimee – Al-Madd Al-Laazim: Harfee. for two counts, i.e. the time it takes to say (one-two). The huroof al-madd must all be silent, i.e. have no diacritic on them. A kasrah must be present on the letter before a silent yaa. I really want to stress the fact that in the Quran you will not see a diacritic on these three letters if they are in the state of madd. It will be an alif, waaw, or yaa with no fat-ha, dammah, kasra, or sukoon ontop/underneath. When I say that these letters must be silent, I am not saying they have sukoon. In fact, if you see a sukoon on an alif or waaw or yaa it means that you are not to stretch this letter whatsoever. A final thing to be wary of is something called “‘ella” letters. This is when the three madd letters have no diacrtic on them, but are not prolonged because the letter preceeding them does not have the corresponding diacritic mentioned in the above conditions. This will be further discussed in a later post, insha Allah. Related Posts: Ahkaam Al-Madd – Al-Madd Al-Waajib Al-Mutasil – Al-Madd Al-Jaa’ez Al-Munfasil – Al-Madd Al-‘Iwad – Al-Madd Al-Badal – Al-Madd Al-Leen – Al-Madd Al-‘Aarid Lil Sukoon – Al-Madd Al-Silah: Kubra & Sughra – Al-Madd Al-Laazim: Kalimee – Al-Madd Al-Laazim: Harfee. One of the largest sections of Tajweed is Ahkaam Al-Madd. There are 9 different types of madd, with two further splitting into five segments, therefore making the total of 13. To help me remember these mudood (plural of madd), I drew up a table with the name of each madd, the length of it in the two states [where applicable], and placed an example in the last column. This file can be found in the resources page, under the heading, Jadwal Al-Mudood. It will slowly start making sense as I post the specifics of each madd. To conclude, and perhaps this should have been introduced instead, a madd is “prolongation”. And so “Ahkaam Al-Mudood” means “Rules of Prolongation”. As I have now completed posting the nine mudood, select one from the list below to begin! Related Posts: Al-Madd Al-Tabee’ee – Al-Madd Al-Waajib Al-Mutasil – Al-Madd Al-Jaa’ez Al-Munfasil – Al-Madd Al-‘Iwad – Al-Madd Al-Badal – Al-Madd Al-Leen – Al-Madd Al-‘Aarid Lil Sukoon – Al-Madd Al-Silah: Kubra & Sughra – Al-Madd Al-Laazim: Kalimee – Al-Madd Al-Laazim: Harfee. But what is Qalqalah? First, be rest assured I won’t type echos for the rest of the post. Because it’d get a tad annoying for both author and reader. The word itself sounds repetitive and as interesting as it’s Tajweed rule. Qalqalah: sound articulation and echo. In essence the word means shaking/disturbance. In Tajweed, it means to disturb the letter that has sukoon, i.e. that is saakin, but without any corresponding movement of the mouth and jaw that is associated with voweled letters (i.e. letters that have fat-ha, dammah, or kasra). Qalqalah “shakes” to “echo” the letter without taking up the preceding or succeeding letter’s diacritic. To easily remember these letters, remember the phrase they make up, (قطب جد). Simply, Qalqalah is echoing the above five letters when they are in state of sukoon, i.e. The qalqalah is necessary for these letters because they have the attributes of jahr (stoppage of the flow of breath) and shiddah (stoppage of the flow of sound), so without qalqalah, there would be no sound! But as the blog has not covered attributes of letters yet, this might just sound all too surreal for some. Qalqalah Kubra (Strong Echo): occurs at the end of an ayah. Qalqalah Wusta (Medium Echo): occurs at the end of a word in the middle of an ayah. Qalqalah Sughra (Subtle Echo): occurs in the middle of a word whether at the beginning, middle or end of an ayah. You may notice the the last letters that require Qalqalah don’t actually have sukoon drawn above them! Diacritics have been put in place for readers who want to continue reading without a pause through to the next ayah. However, stopping at the end of every ayah is preferred and so in these such circumstances you must do a strong Qalqalah. Here the sukoon is clearly marked on the Qalqalah letters. V.I.Note: if you run out of breath and wish to stop in the middle of an ayah, and you stop at a word that has a qalqalah letter on the end, you must, must, must read it as a qalqalah kubra! For example, if I wanted to stop at the word qad in the above example, the daal must be echoed strongly. Then if I were to continue reading by repeating the word and continuing, I do a qalqalah wusta. [start at the word qad and reads: qad aflaha, doing a qalqalah wusta on the daal]. Similarly the sukoon is clearly marked on the Qalqalah letters. I suggest visiting Quranic Audio to listen to Qalqalah. Select your favourite reciter and listen to Surat Al-Falaq /Al-Masad /Al-Qiyaamah  for Qalqalah kubra. Qalqalah wusta and sughra occur throughout the entire Quran. I don’t think there is any particular one you really should listen to. Surat Al-Qalam  has a fair few Qalqalah sughra. I also suggest Surat Al-Muzzamil  for a combination of wusta and sughra. Rule Three: Iqlaab — Tahweel Al-shay’ ‘an wajh (Flipping). The lips should not be entirely pressed together, to allow for the meem to come through the nasal passage as well. The mouth should be prepared to say the baa after sounding through the meem. So the above, min b‘ad is sounds like mimm b‘ad when read. What ever you do, take this piece of advice and do not get mixed up between the full shaped meem (م) drawn above letters to indicate iqlaab, and the cut meem (مـ) to indicated a compulsory stop. Refer to the resources link below. Iqlaab must be sounded for two counts, i.e. the time it takes to say the words, “one – two”. More about the Arabic letters can be found here: http://www.meem.freeuk.com/ scroll down to the “ABJAD TABLE” and select a letter. The following is rule two of four for the Noon Al-Saakinah/Tanween. 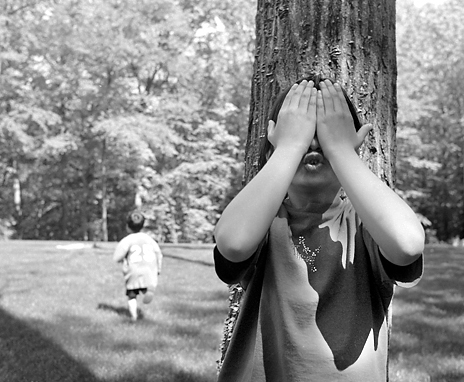 We all know the children’s game, hide and seek. Here, the Noon Al-Saakinah must be hidden [i.e. not pronounced clearly]. Read on. Rule Two: Ikhfaa — Al-sitr (where the Noon/Tanween is not pronounced clearly, i.e. is hidden). The first rule listed six letters that follow the noon al-saakinah. In that case, it must be pronounced clearly. Of the remaining letters in the Arabic alphabet, the second rule, ikhfaa applies. The letters which are covered in rules three and four, are the exception to this rule. When one of the remaining letters follows a noon saakinah or tanween, ikhfaa must be done. This is when the noon saakinah or tanween is hidden in the nose. Here, the mouth is to be shaped in a manner such that it is “prepared” for the next letter. For example, if the next letter is a taa with a dhammah then the mouth is prepared to say this by changing it into a small “o” shape, and the tongue positions itself in the right place within the mouth. This can occur across two words or be contained in one. Ikhfaa must be sounded for two counts, i.e. the time it takes to say the words, “one – two”. It is not necessary that you learn all these letters. It is however advised that you learn the 6 ith-haar, and 7 exception, letters and so when reading, just do a quick check to see if the letter is not one of the 6 ith-haar letters, or the exception letters above, then do ikhfaa. This takes a while to get used to, and soon you’ll forget you even have to do a check because you internalise it. Besides, it’d be almost the impossible to try and bring out an “nn” sound from your nasal passage when needing to shape your mouth for a “h” sound for haa, or an “a” sound for alif. – More about the Arabic letters can be found here: http://www.meem.freeuk.com/ scroll down to the “ABJAD TABLE” and select a letter. – Refer to the document Makhaarij Al-Huroof under the resources page. As per people, letters are different. You find some people are quiet, other are loud. 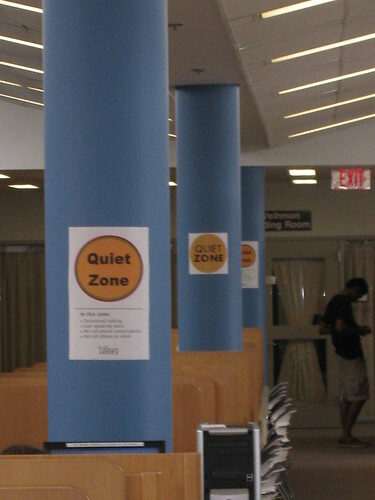 But regardless of this, there are places when even the loud ones must be quiet! 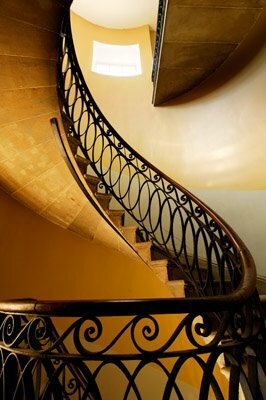 Take for example, the library or art gallery. In Tajweed there are rules regarding the silent noon. This is known as “Al-Noon Al-Saakinah” in Arabic. The rules regarding the silent noon also apply to tanween . Rule One: Ith-haar Al-Bayan (where the noon/tanween is pronounced clearly). Note this also applies for the Tanween. Please note that I have put up very beneficial documents under the “resources” page. I hope these are of benefit. fat-ha tanween: The fat-ha tanween is pronounced “an”, as in “animal”. kasra tanween: The kasra tanween is pronouced “in”, as in “in”, “tin”, “fin”, etc. Some native Arabic speakers might indicate a kasra tanween with an “en”, thinking that “e” sounds like the Arabic “yaa” letter. This is a mistake that stems from not knowing how native English speakers pronounce the “e” sound. damma tanween: The dhamma tanween is pronounced as a short “oo” followed by an “n”. This sounds like the short “un” in “uno”, not like the long “oon” in “soon”. tanween at the end of a sentence: If the tanween is the last thing in the sentence, it’s not pronounced. In the case of a fat-ha tanween, the alif is pronounced as a long vowel. – More about these letters can be found here: http://www.meem.freeuk.com/ scroll down to the “ABJAD TABLE” and select one of the abovementioned letters to learn more about it. In Tajweed there is “fard kifaayah“, where not all people must know a certain rule. Example of this in Islam is the prayer of the dead. “Fard ayn“ is compulsory for all Muslims to do/learn, i.e. reading with Tajweed . 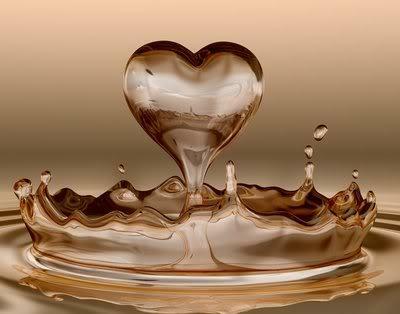 – Sufficiency duty or fard al-kifaya (الواجب الكفائي‎) is a duty which is imposed on the whole community of believers (ummah). The classic example for it is jihad: the individual is not required to perform it as long as a sufficient number of community members fulfil it. – Individual duty or fard al-ayn (الواجب العين) relates to tasks every Muslim is required to perform, such as daily prayer (salah), hijab, or the pilgrimage to Mecca at least once in a lifetime (hajj).